We are in the height of “Pumpkin Spice” season, which was once call “fall.” Starbucks Pumpkin Spice is back in stores, and is better than ever before. It’s revamped as a new recipe and a great flavor. 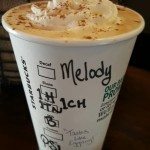 I challenged one of my neighborhood Starbucks stores to come up with some creative, fun, and delicious twists on your favorite Pumpkin Spice Latte. I talked to a couple of baristas and told them what I was doing and gave them a little info about the kind of article I envisioned. 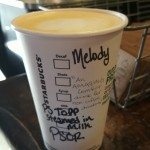 Lo and behold, when I was away from the store, a few baristas worked together – taste testing along the way – and wrote up 8 Starbucks cups with the Pumpkin Spice drinks, all perfect for a fall day. This is an amazing fall drink for the non-coffee drinker. Steam milk with the pumpkin spice topping steamed in. This was one of my favorites. It’s a pumpkin overload with no coffee, perfect for a fall day. This is a sweet treat that easily balances mocha and pumpkin spice. Both flavors come through for a fall treat for the customer who is torn between ordering something chocolate-y or something seasonal. 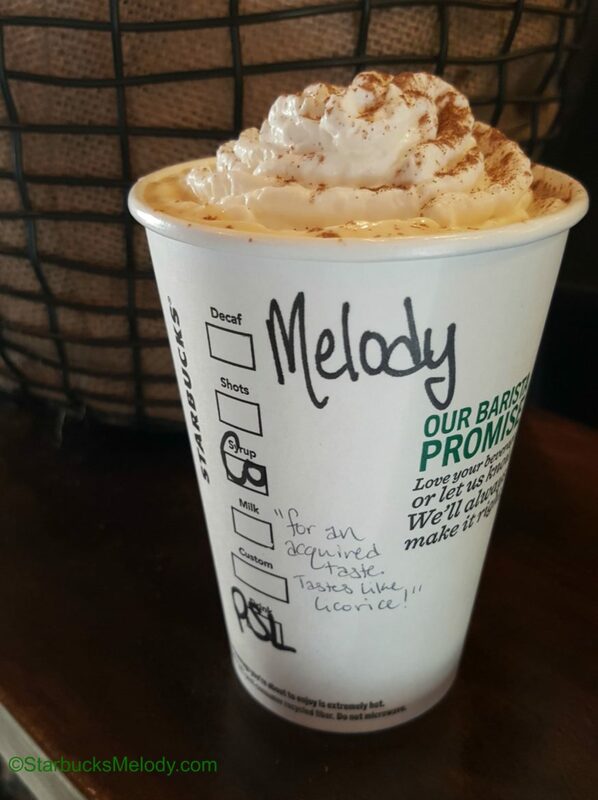 Of course, if you haven’t ordered the classic Pumpkin Spice Latte, it awaits you at Starbucks right now. And it’s around for just a couple of months. This is the drink that has been beloved since 2003. 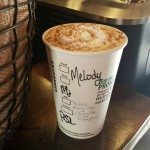 Looking for a little history behind this drink that started a pumpkin spice craze? Check out this Seattle Met magazine article. This is built as a Chai Latte, add pumpkin spice, so know this drink doesn’t have whipped-cream and pumpkin topping. It’s a medley of Chai spice and pumpkin spice to earn the distinction of the best combinations of spices every. You’ll like this one too! This drink was a surprise in many ways. It is a surprisingly good combination. 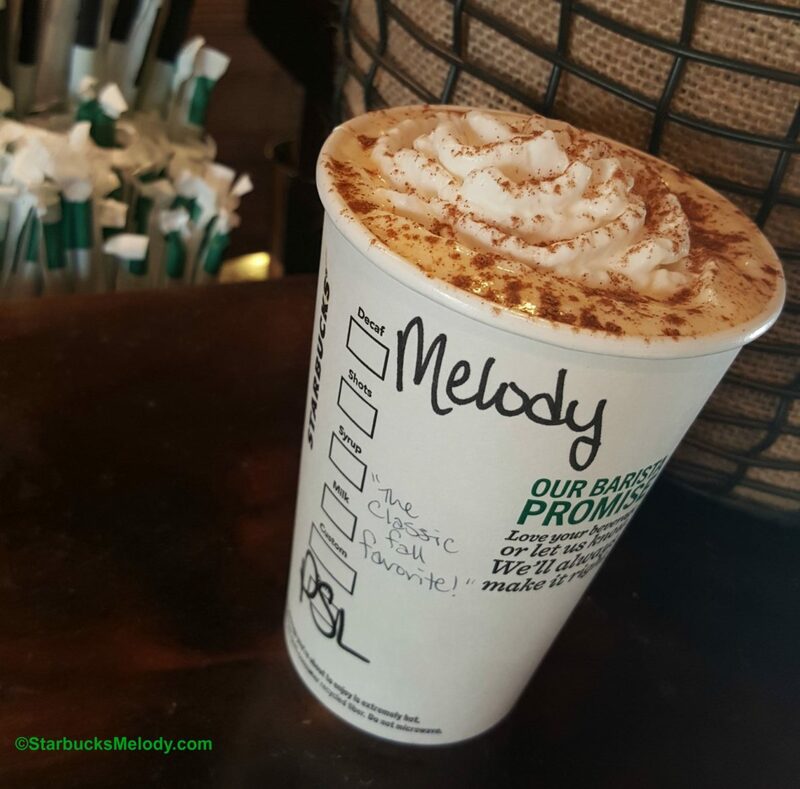 I wouldn’t quite call it a licorice taste but it brings a little more sweetness to the classic Pumpkin Spice Latte. It is a must-try unique drink! This is a very rich, flavorful pumpkin spice creation. It’s for the person who wants a complex flavor that is a dessert in a cup. This is a little hard to describe as a drink, but if you try it, I want to know what you think! The side of the cup says “An interesting spin for Green Tea Latte lovers!” This is an interesting drink. 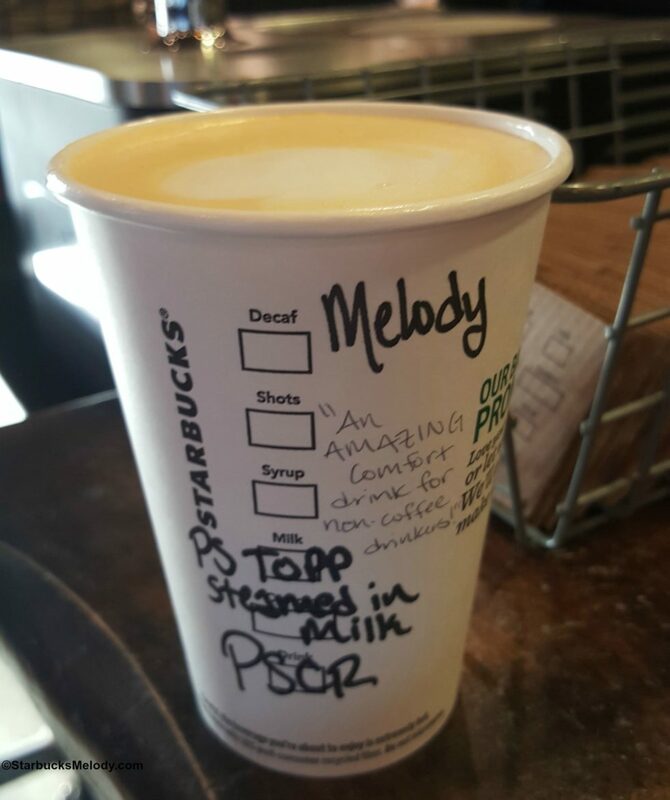 I’m not a Green Tea Latte drink so it’s a little hard for me to gauge. This drink is a strange green-orange color! It looks like the beginning of something designed for Halloween! It’s another fall drink! I’m not capable of drinking 8 tall latte beverages at one time but I did drink a little bit of every single one of them! And now it is your turn to pick a favorite. There’s one more beverage that could have been included here but it isn’t. As I was working on this project, a few baristas mentioned to me that a Caramel Apple Spice and Pumpkin Spice is a delicious drink. It’s not included here but it’s one more suggestion. 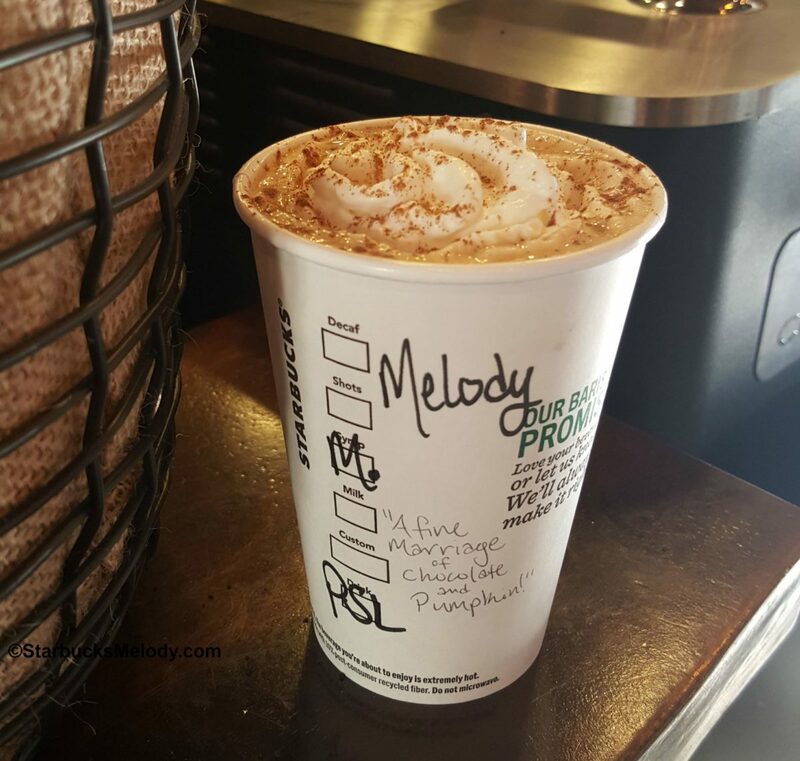 Enjoy your Pumpkin Spice fun: Lots of twists on the Starbucks classic Pumpkin Spice Latte. 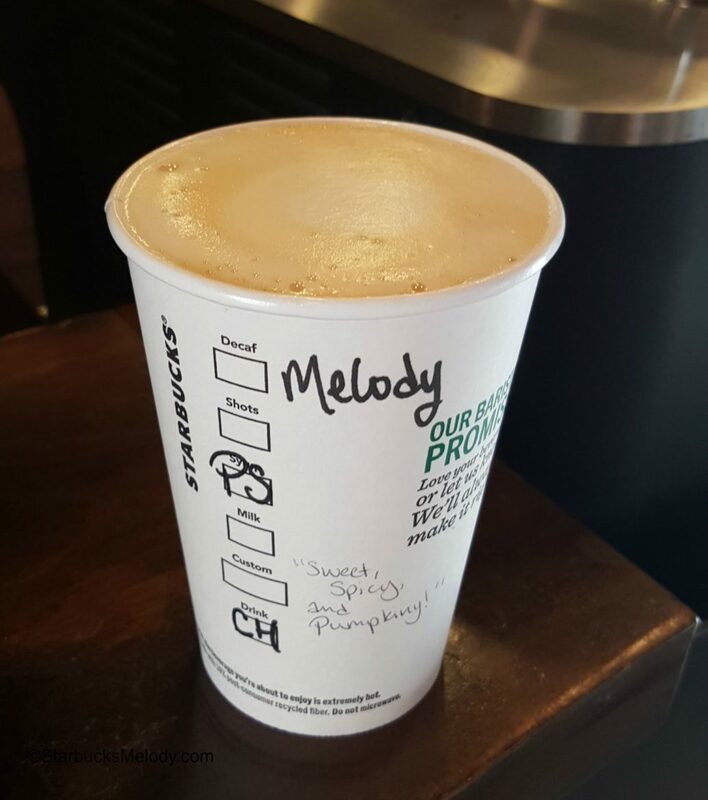 Have you tried Iced Pumpkin Spiced Latte yet? Iced opens up a whole new taste experience and opportunity for peronalisation…I’d be keen to hear what you think? I am familiar with most of the variants and they are delish. 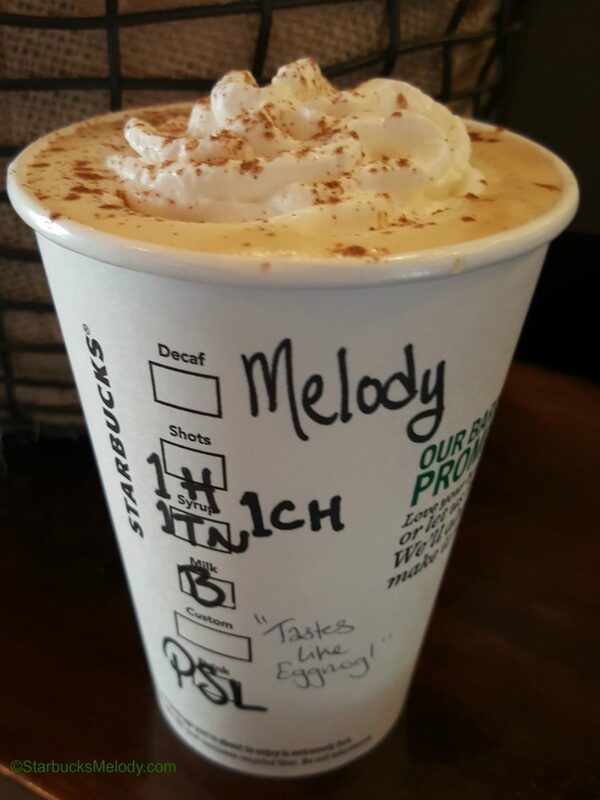 I do love a Mocha Pumpkin or a Pumpkin Chai. It’s also good with the toasted graham as well. The coconut sounds interesting, though i felt that the coconut this year was a fail. The coconut flavour was missing and seem more anise in flavour. Missed out on my favourite Coconut Chai’s this year because of that change. I think i will try coconunt milk with pumpkin next time though. Interesting article, Melody. 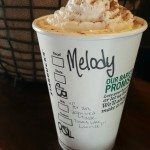 Pumpkin Spice mocha is my son’s favorite drink, my youngest daughter’s is white chocolate pumpkin spice. I’ve tried it as a steamer here at home and think it’s great for kids that want a special fall beverage too. I recently bought the pumpkin spice sauce from the online store and am going through it quickly. It’s a nice change as a pancake topping too. If any one is up for a frappuccino that tastes like pumpkin pie try: a venti pumpkin spice, heavy cream, pumpkin spice topping Chai Cream Frappuccino. It is absolutely my favorite and perfect for those in the sunbelt that are still in 100+ degree weather. How many pumps of mocha sauce was used in the Pumpkin Spice Mocha? 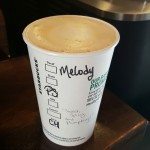 The reason I’m asking is because I’ve tried both a Pumpkin Spice Mocha and a Pumpkin Spice Black and White Mocha in the past, but was never able to get one that tasted good, even after multiple attempts and at different locations. 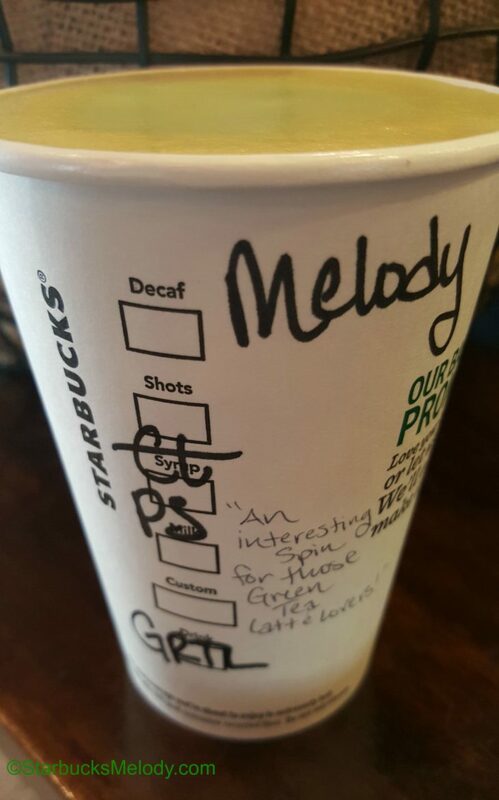 So I’ve just been sticking to my venti quad-shot PSL, but would like to order a variation once in a while. 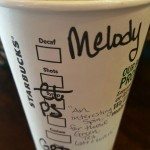 When I was a partner a few years ago, I loved making a “Pumpkin Dolce”– grande, 2-pump Pumpkin Spice, 2-pump Cinnamon Dolce, latte. Try it! The Pumpkin Spice Chai is my favorite. I plan to try the one with hazelnut… sounds delicious. And for a little trivia… The Caramel Apple Spice with Pumpkin Spice served iced is called “Harry Potter Juice”… and it is my son’s favorite!! In a grande iced cup two pumps ps two pumps graham cracker half pump cd one pump vanilla one shot milk to the top line (breve) before icing blend liquid with 8ice cubes and a half scoop protein powder on three then on 1 To build the frothy texture..